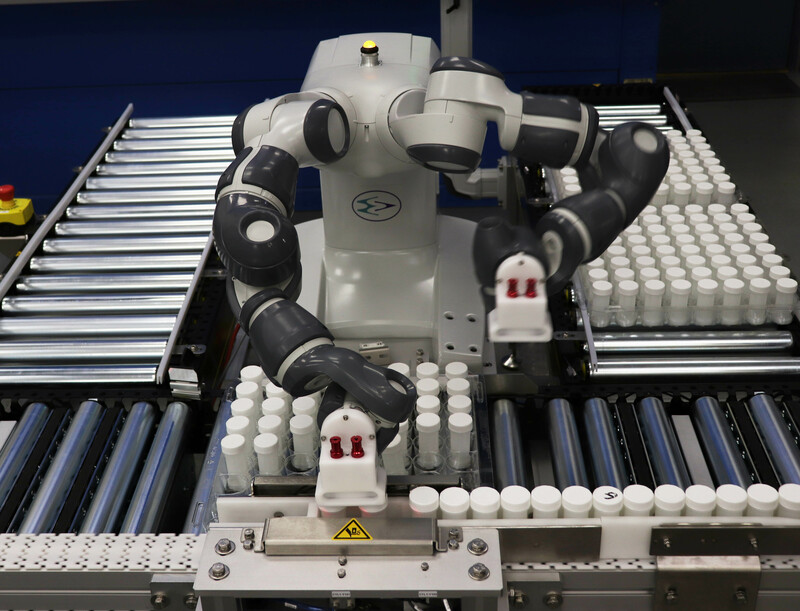 At our Sligo facility, we have developed and built another collaborative robot cell for a customer who is committed to keeping at the forefront of new technology. 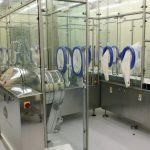 The machine can process different bottle sizes, it separates the bottles on a conveyor, picks the bottles at 50ppm and loads them into empty trays which are circulated on separate conveyors. 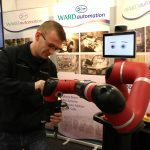 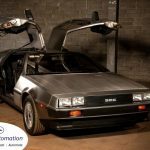 As a cobot integrator, Ward Automation are an active member on the National Steering Committee on Cobotics, working with cobot manufacturers, the HSA and leading academics.